There's nothing easier than whole wheat penne, sausage and roasted tomatoes, fennel and pepper for a delicious meal. For me, Sunday dinner can be complicated. Or, in this case, super easy. A few weeks ago (I'm behind on my posts), I picked up some ingredients for an all-local meal: fresh hand-made whole wheat penne made with local New York wheat from The Ravioli Store at the New Amsterdam Market, paired it with Hudson Valley Duck Farm's Duck Sausage also from the market and some roasted vegetables that I had in the freezer -- Italian plum tomatoes, fennel and red pepper. Two swipes of the Parmigiano-Reggiano over the grater. Easy, and sooooooo good. 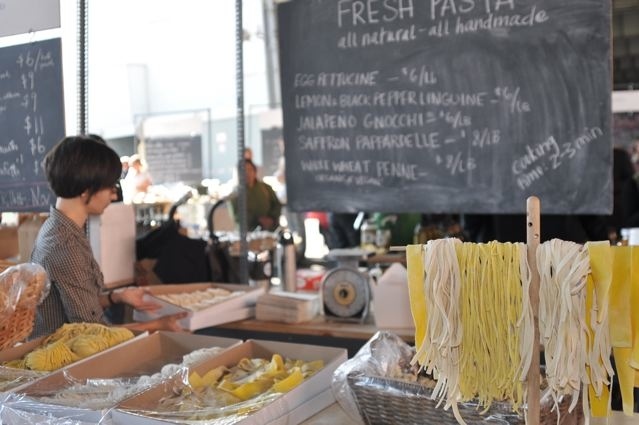 The Ravioli Store , located in Long Island City, has been supplying local restaurants and home cooks with hand made pastas for nearly 20 years. 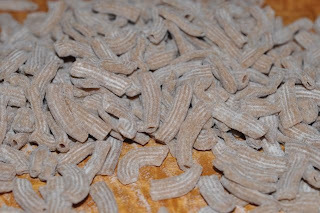 Recently, they started making whole wheat penne with whole wheat grown in upstate New York by Cayuga Pure Organics and milled locally as well. 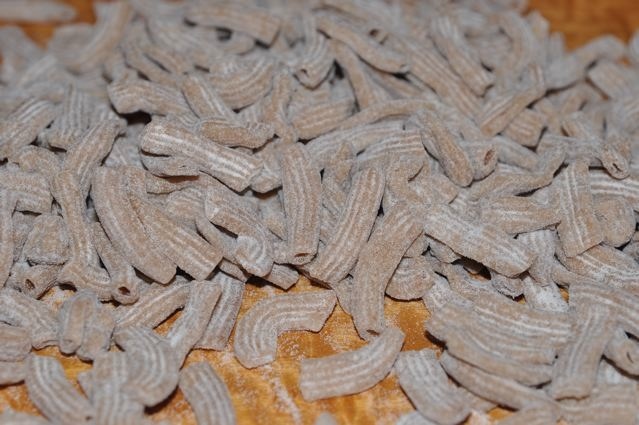 Fresh pasta cooks in just three minutes, and the sausage takes about 20 minutes. I cut the sausages in small pieces to help render the fat. After browning all sides, I poured out the greasy fat and threw it away. 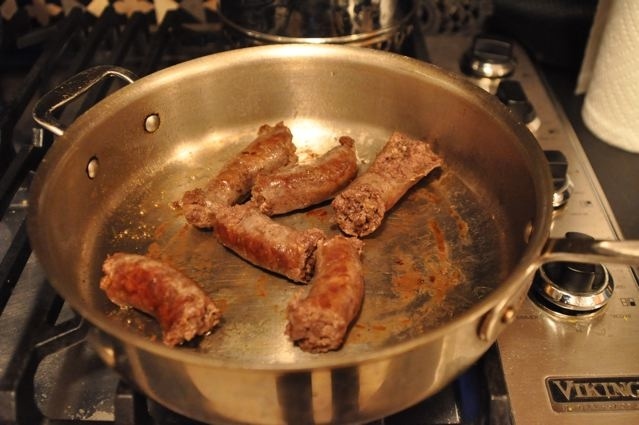 Then, I added about a half a cup of water to "parboil" the sausages which helps them cook through more quickly and remove more fat. 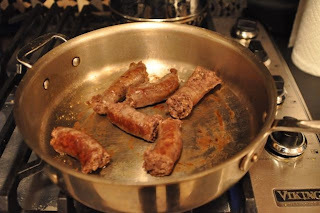 When the water has evaporated the sausages should be ready to eat. Slice into 1/4 rounds and serve either in the sauce or on top. 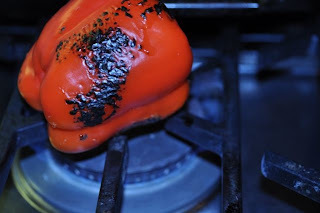 I roast vegetables a few times a week to keep in the fridge for snacking. I also like to have fresh frozen tomato sauce on hand. In my freezer now I have a delicious pureed tomato sauce, a hearty mushroom ragu, and plain roasted tomatoes (and roasted fennel and red pepper). The veggies were left overs from my bouillabaise puff pastry pizza with lobster recipe. Having locally made ingredients from the market and sauce in the freezer made this a simple and delicious dinner. The duck, tomato and fennel are a wonderful complement to the chewy (locally grown, locally made) whole wheat penne. Preheat oven to 350 degrees. Spray four glass roasting pan generously with olive oil. 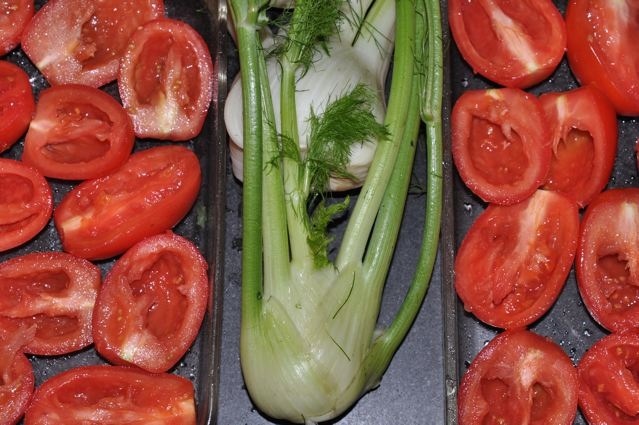 Spread out the tomato halves in two pans and sliced fennel in two additional pans. Add garlic and wine to the fennel to keep the fennel moist. Roast fennel and garlic for about a ½ hour or until the fennel is soft, and roast the tomatoes for an hour to yields 4 cups of tomatoes and 2 cups of fennel. In the meantime, in a broiler or on the stove top, roast one red pepper by charring the skin and removing the charred outer skin and seeds and keeping the delicious flesh. Chop cooked tomatoes, fennel and red pepper into ½ inch pieces. 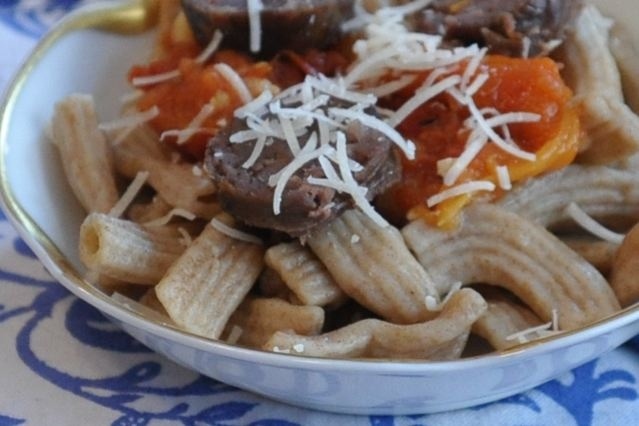 Serve over your favorite pasta with sausage or by itself. I knew Casey (Wendy's daughter) growing up and I ran into Wendy at the house of a mutual friend back in the beginning of last summer. Somehow we were talking about blogs (I write a food blog as well) and she mentioned yours. I've been following it since and I'm so happy that you visited the New Amsterdam Market AND bought duck sausage from Avery at Hudson Valley Duck. I actually work for both New Amsterdam and Hudson Valley. I'm glad you liked the sausage and the pasta. Hope to see you at the Market again soon! Love that you know Casey and Wendy Van de Walle from CSH! 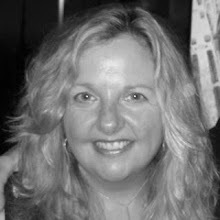 Wendy is a great cook too and appreciates good food, ducks too-- quack quack included. Her husband and mine have hunted for ducks and pheasants with Casey and my kids! Anyhow, so glad you work for Hudson Valley Duck and are at the markets. I'm not in the city much on the weekends but will stop by on 12/5 if I get down to the market.